The Creole cooking of New Orleans is spicy, rich, and oh so satisfying. Among this cuisine’s favorite dishes are two rice-based entrées: jambalaya and red beans and rice. Both rely on smoked meat, spices, and aromatic vegetables for flavor. 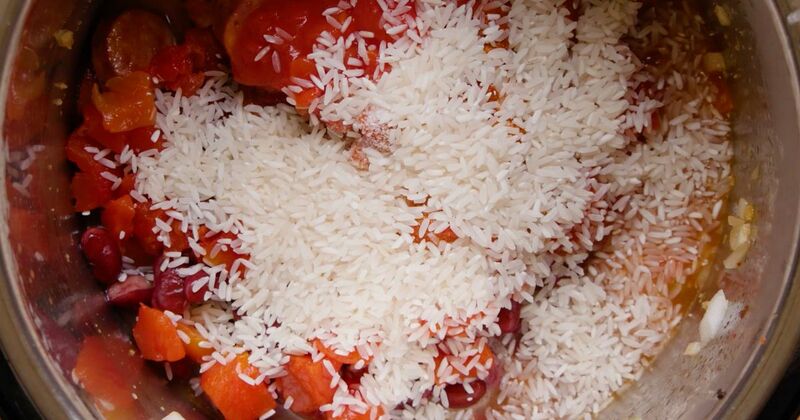 For jambalaya, the rice is cooked with the meat, spices and vegetables as a one-pot casserole. 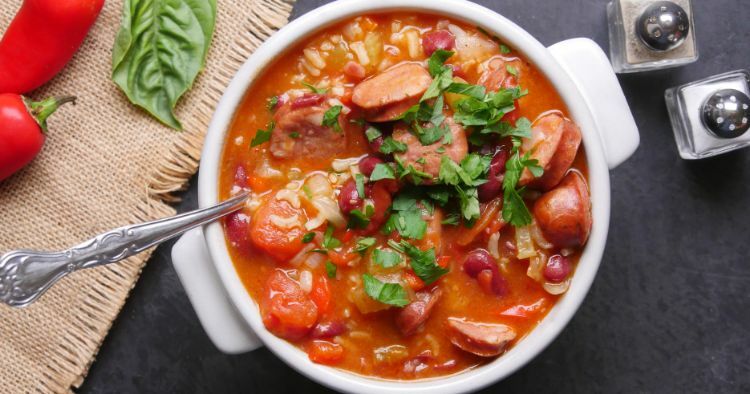 For red beans and rice, soaked dried beans are normally cooked along with meats, veggies and spices into a soupy concoction ladled over white rice that has been cooked separately. The recipe below combines both of these delicious dishes into one especially filling meal. Using the Instant Pot to make this version of jambalaya saves a ton of time. Not only does everything get cooked in one pot, but you don’t even have to presoak the dried beans. Cooks in Louisiana often add other flavorful meaty chunks, such as smoked ham hocks or pork rind, to add even more flavor and heft to the dish. Add the sausage and cook, stirring frequently, until the sausage is browned, about 6 minutes. Remove the sausage to a paper towel-lined plate. Add the onion, bell pepper, garlic and celery to cook, stirring, until the vegetables begin to soften, about 5 minutes. Return the sausage to the pot and add the beans, diced tomatoes and their juice, broth, Creole seasoning, salt, and rice to the pot and stir to mix. Close the lid of the pot and turn the valve to the sealing position. Choose high pressure and set the timer for 20 minutes. When the cooking time is up, quick release the pressure and serve immediately.